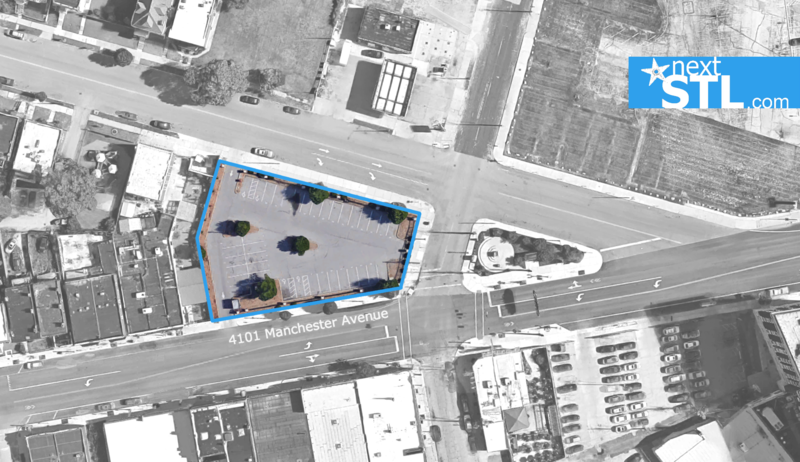 Last month we wrote about the city’s Request for Proposals (RFP) on the wedge lot bounded by Manchester Avenue, Sarah Street, and Chouteau Avenue. Given the size and shape of the lot, it would be a challenge for any developer to fulfill all requirements. 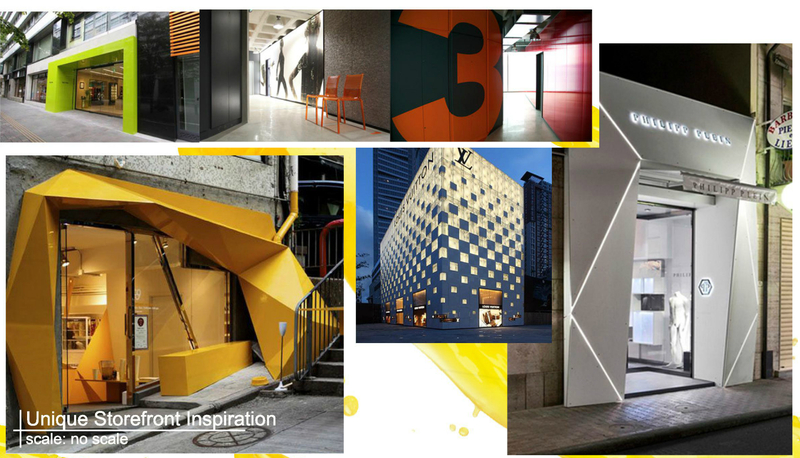 Now we have a look at one creative effort to do just that. 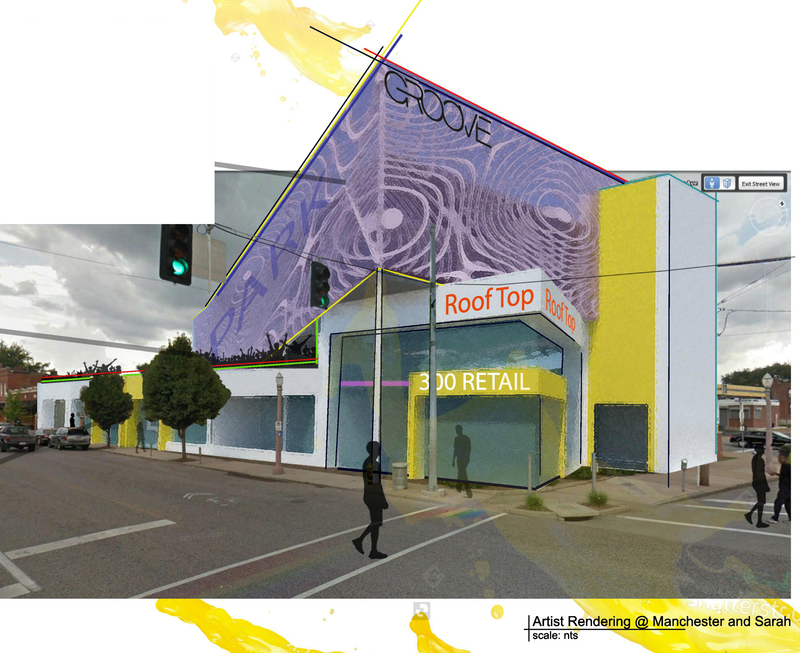 This proposal by King Realty Advisors-Simpson Closser, titled Groove @ The Grove, may just check off all the boxes. It is one of at least three responses to the RFP. 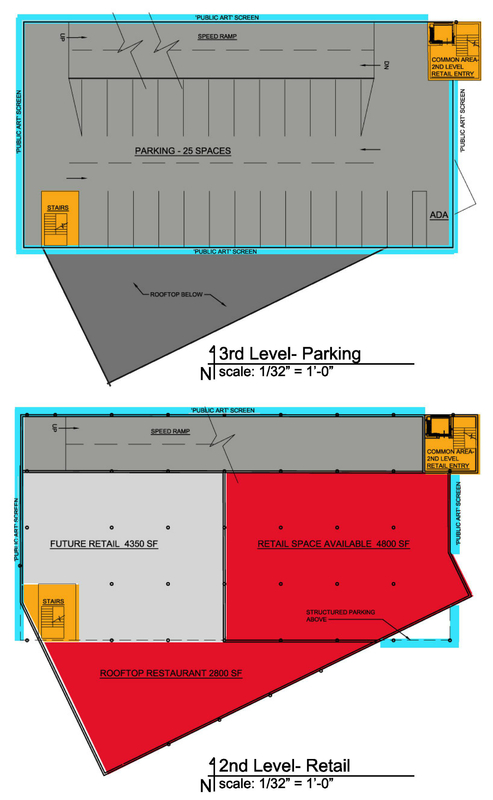 The city made it clear that it was looking for a number of specifics for the site: at least 15,000sf of retail space, access to a total of at least 77 parking spaces (to replace the existing 37 and add 40 for anticipated retail), and loading access from Chouteau only. 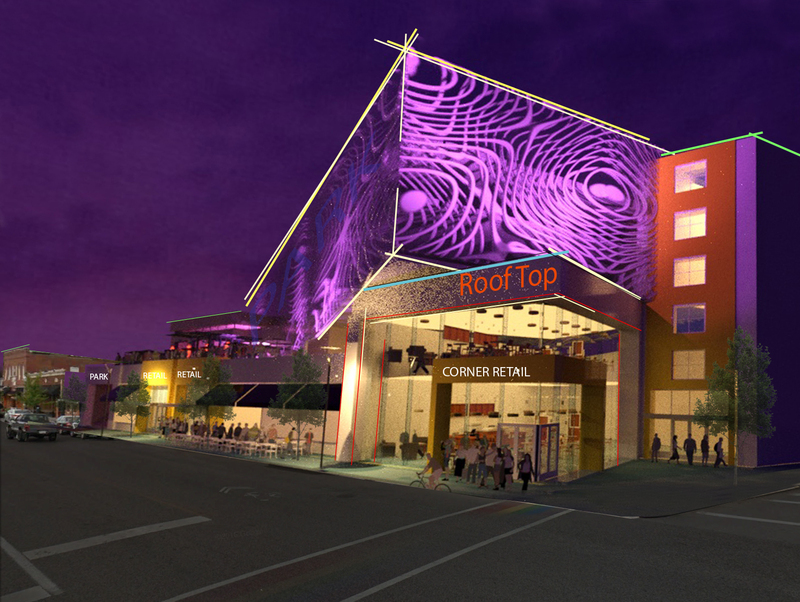 The RFP stated that an “emphasis will be placed on proposals that seek to foster…eclectic architecture design”. Proposals were due September 2. 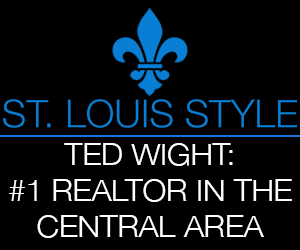 The city’s minimum sale price for the lot is set at $120,000. 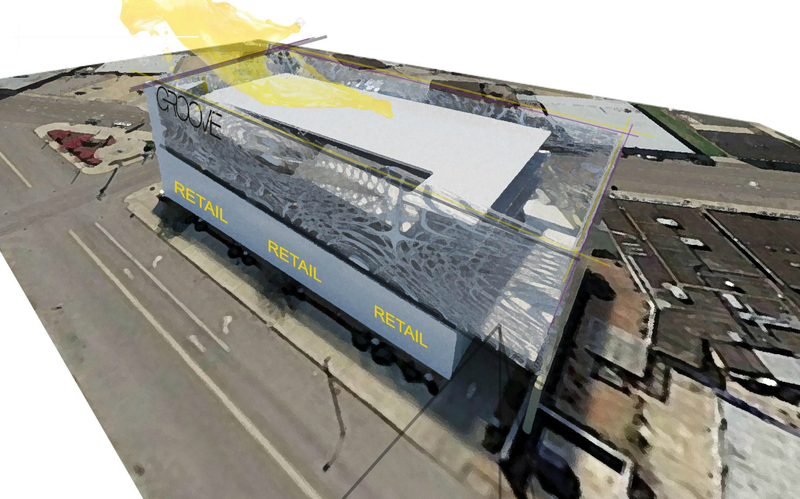 The design envisions 14,800sf of retail space on the first level with 7,600sf, and potentially an additional 4,350sf on the second level. 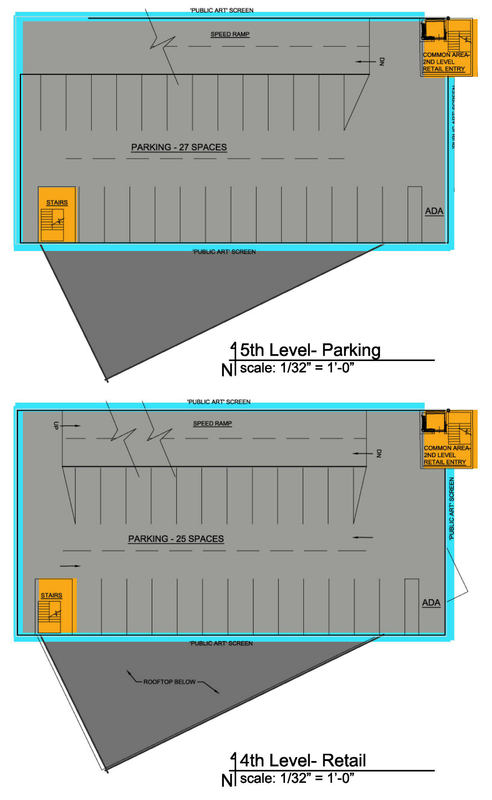 Levels three through five would consist of parking decks with 25, 25, and 27 parking spaces (77 total). Garage access is shown at the west end of the parcel on Manchester, where drivers enter the current parking lot. As noted before, the “Urban Design and Redevelopment Requirements” of the RFP are promising and the community should be able to require good design given the popularity of The Grove. Any proposal should be “a mixed-use, main street character that enhances and densifies the walkable commercial corridor” and it’s clearly stated that proposals “should treat all three adjacent public rights-of-way, including Manchester, Sarah, and Chouteau with equal importance and equivalent sensitivity”. 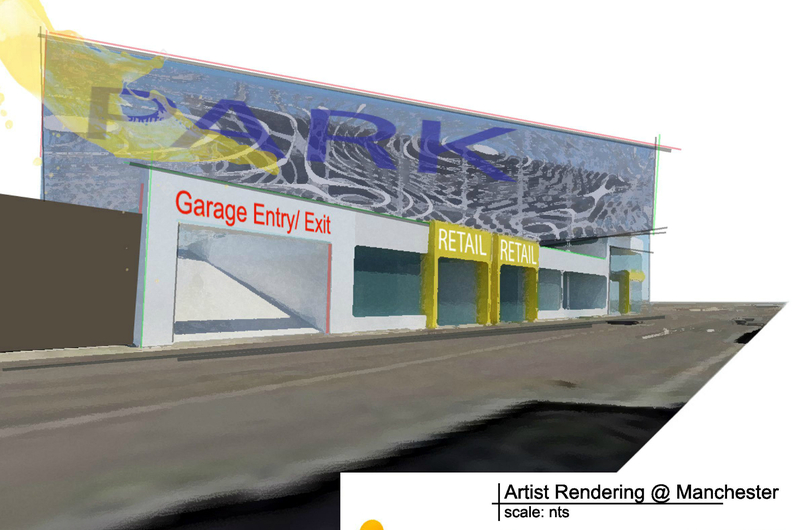 This is a significant challenge, and while a garage entry, service entrances, and loading have to be placed somewhere, this proposal appears to minimize their negative impact. The monumental scale presented at Manchester and Sarah would certainly be a landmark, though the short building face along Sarah Street itself could be underwhelming depending on the artistic treatment and presence of outdoor dining. In 2014, Green Street proposed development of the wedge site as part of its Chouteau’s Grove plan. 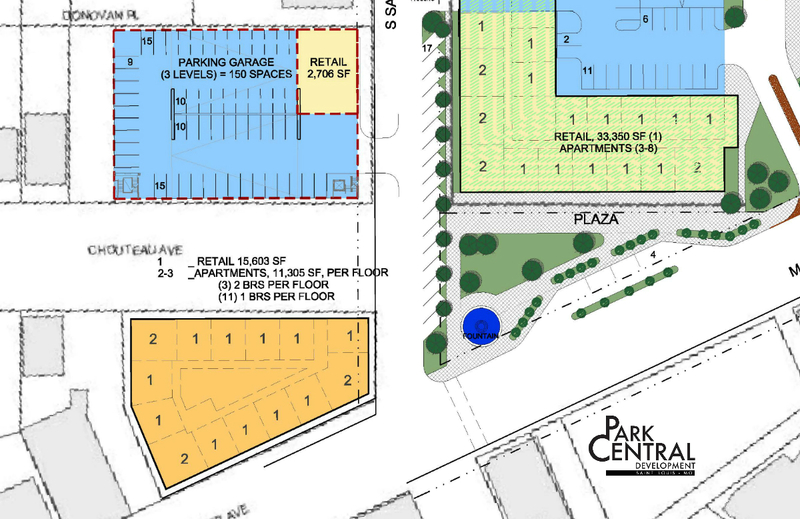 The current 37-space parking lot (shown in orange) would have been replaced with a three-story mixed use building. 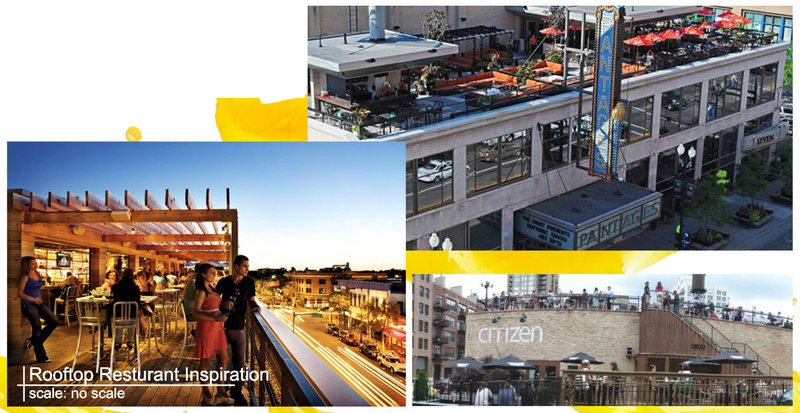 Retail space was planned to occupy 15,603sf on the first level, with six two-bedroom and 22 one-bedroom apartments above. 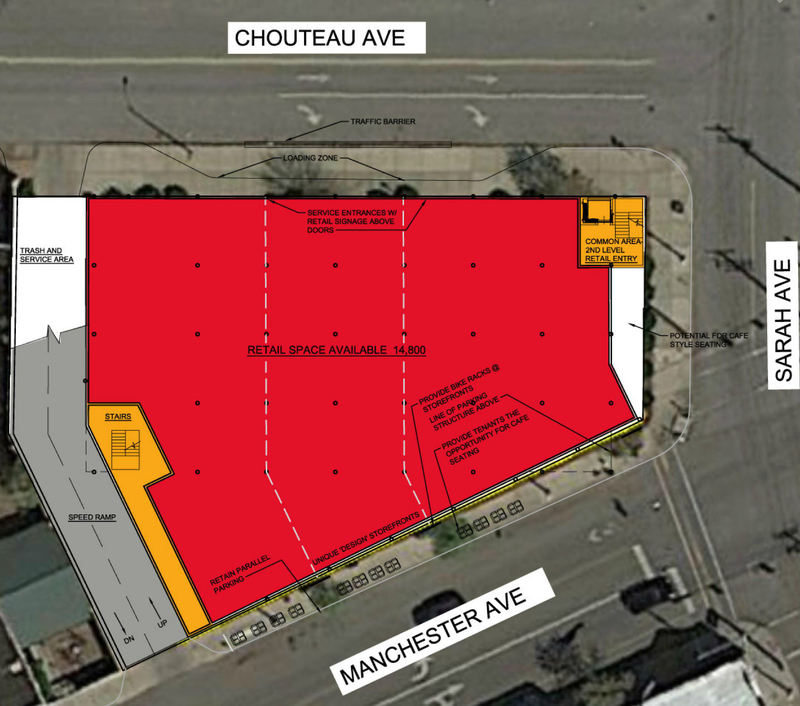 No on-site parking was planned as parking would have been accommodated across Chouteau in a 150-space garage. We’ll continue to share additional RFP responses as they become available. With several responses to the site and the clearly modern design of this proposal, we’re hoping The Grove may be at the point where it is obvious good design can be required of any developer.